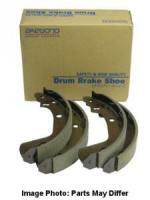 Rear Brake Shoe Replacement Set. Fits DA65T and DA16T Trucks bot AT and MT Transmissions. Include chassis number when ordering.